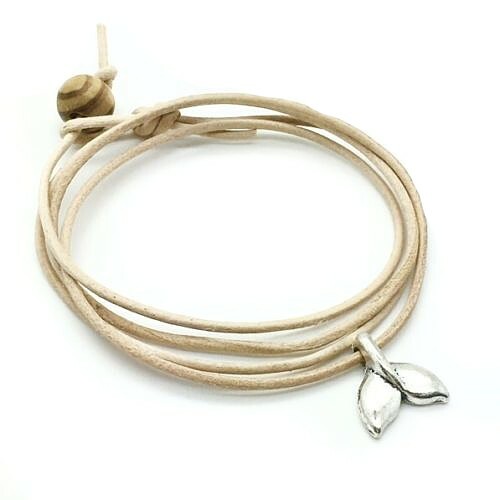 Top quality 100% natural leather surfer bracelet, complete with a wooden bead and Tibetan silver sharks tail "dangle" charm. Can be worn as a bracelet or anklet. This item is around 36 inches in length and will wrap around your wrist 3-4 times depending on the size of your wrist. Will wrap around your ankle twice. If you need to make it smaller to fit a lady, simply cut the leather down to size and re-tie the knot.